Our friend Camille Styles has a beautiful new book out, Camille Styles Entertaining: Inspired Gatherings and Effortless Style. We love everything about it and highly recommend it for holiday gifting and for your personal stockpile. To caramelize the onion, melt the butter in a large skillet over medium heat. Add the onion and sauté until just tender, about 6 minutes. Add the thyme, reduce the heat to medium-low, and cook until the onion is golden, stirring often, about 20 minutes. Sprinkle the sugar over the onion and sauté 20 more minutes, until the onion is golden brown, reduced, and very sweet. If the pan gets dry, add a little water so that the onion doesn’t burn. Set aside to cool (this can be done a day in advance and kept in the refrigerator). Preheat the grill, one side on high and one side on low. Roll out the dough according to the “Steps to the Perfect Pizza” (page 294). Gather all your toppings (onion, garlic-infused sauce, mozzarella, prosciutto, and arugula), plus your dough and oil, on a large tray, and head out to the grill. Using my two-temperature grilling technique, grill the first side of the pizza. Flip when ready and then brush the pizza evenly with garlic-infused sauce and top with the caramelized onion and mozzarella. Close the hood, and when the cheese is melted, transfer the pizza to a cutting board. 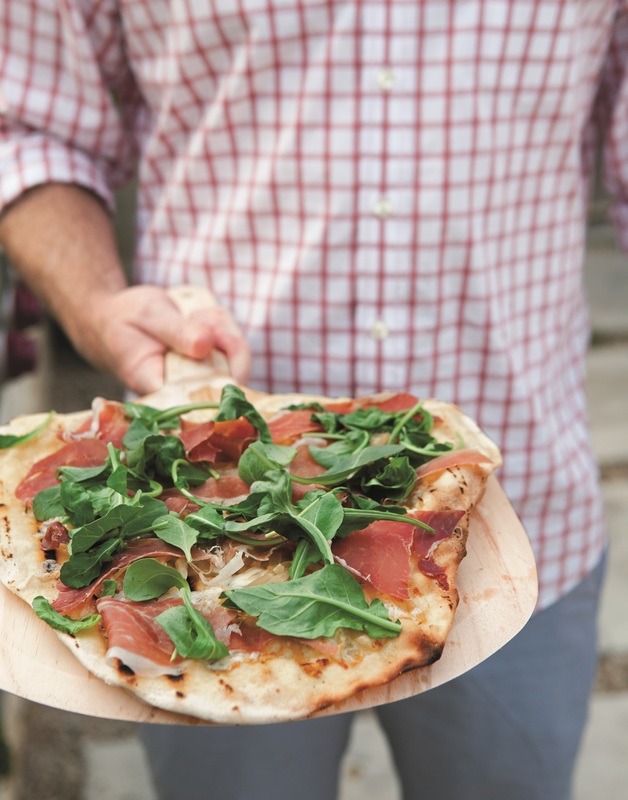 Top the pizza with the prosciutto and arugula. Cut into wedges and serve. In a small saucepan, bring the garlic and oil to a simmer and then reduce the heat to low and cook for 3 to 5 minutes, until the garlic starts to brown. Turn off the heat and then whisk in the melted butter in a steady stream until combined. 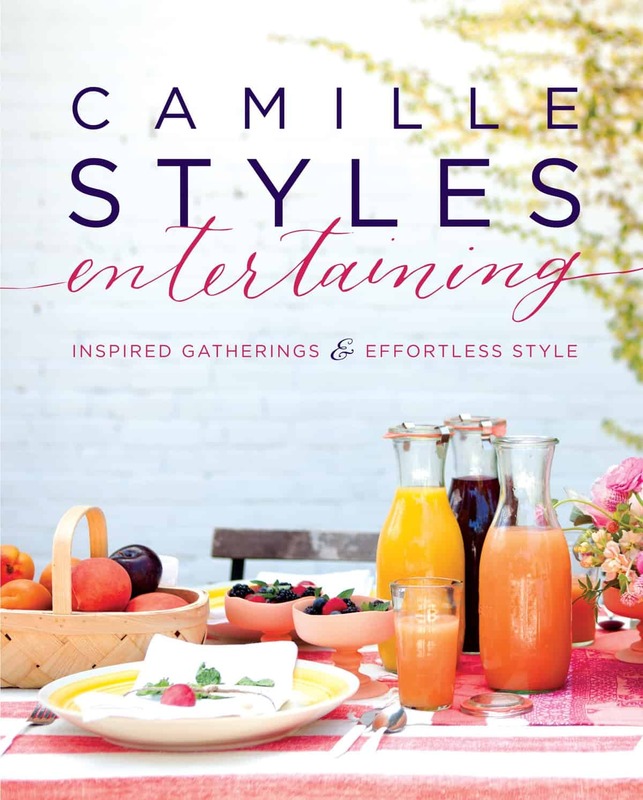 Enjoy, and snag your own copy of Camille Styles Entertaining: Inspired Gatherings and Effortless Style here! love this- going to make it tonight!